Come out and test your skills at kayak, bike, run! This is a fun event to be held on the beautiful Cassadaga Lake. Using the same course at the Southern Tier Triathlon Club’s Summer Tri Series; we will kayak 1 mike around the lake staying between the shore and bouy line, bike a hilly 13 mile loop and then run a flat 2 mile out and back along the lake shore. A great relay team event for 2 or 3 people or perfect to test your skills. $60 individuals/$85 relay teams of 2 or 3. Rates increase $5 for race day registration. Includes finisher medal, give-a-way, on course support, SAG vehicle, Overall, team and age group awards, pot luck picnic, beverages, fire pit and lots of fun! 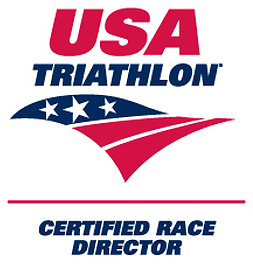 All races USAT sanctioned. All rules apply. There is no refund for this race. We do allow deferrals with advance notice. If you are not a current USAT member, you will be required to purchase a one day event coverage, $15 for adults, $10 for 17 & Under. Pot luck picnic immediately following featuring waffles, sausage and STBC beer. Beverages, paperware and silverware are provided. Bring a dish to pass or don’t but plan on staying for the fun. All athletes and spectators are welcome! A portion of your registration fee will go towards the Cassadaga Lakes Nature Park; a shared project between the Cassadaga Lakes Association and the Chautauqua Watershed Conservancy, and now Wilson Endurance Sports.